No more getting lost in long lists of workouts and exercises! Log your routines and keep track of your progress. Select sets, weight and repetitions in seconds. Gym Hero's simple but smart user interface doesn't distract you and will guarantee an optimum usage while working out. It is completely customizable which makes Gym Hero a must have for ambitious fitness junkies. - Workout statistics (total weight/reps/sets/workouts over time and for every muscle group), total/average workout time and more! Try Gym Hero today and let us know what you think. We will listen to every single user in order to improve Gym Hero for you! I've used this app every time I use iOS. 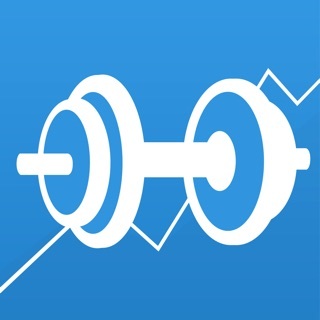 I have found this app includes the most comprehensive workout data compared to other workout apps. It breaks down exercises by body part and tracks time between sets and set numbers as well. Few other exercise apps track all these metrics at once. The main area for improvement is the inclusion of cardio tracking. Also the native charts and graphs are not very detailed. If you wish to export to excel make sure that you have an email setup in the native app, otherwise the export feature will not work. The Devs are pretty quick to respond to issues. I do recommend overall! The simplicity of this app makes this app good. It is easy to navigate through the app. You can create your own custom workouts and easily log them. I also like that this app tells you how much workouts you've logged. This app goes even further to remember how much you lifted last time and what body parts you've exercised the most over the years. There are many features in this app, but the simple design makes it one of the best gym logs in the App Store. As many people have stated as well, this app is incredibly buggy and crashes AT LEAST 5 times per workout (I usually lift for 1.5 hr sessions). I want to change apps SO badly but since i love to compare past statistics and I have many past workouts logged on this one I keep waiting for an update to fix it but it never comes. Yes, I paid the fee too. It’s ridiculous and I will be forced to move 300+ past workouts from this app to another one soon but I will because I just can’t handle it anymore. It is on the verge of ruining my flow and mindset constantly. Beware and don’t buy.